bptp group presents bptp amstoria, sector 102 Gurgaon, bptp amstoria floors & villas available prime locations available, price starting from 70* Lac . BPTP is coming up with a new residential project, BPTP Amstoria, an integrated township in Sector 102 on the proposed Dwarka Gurgaon Expressway. Currently, 3 and 4 bedroom independent floors and villas are being offered by BPTP Amstoria. The residential complex is spread over an area of 200 acres and is surrounded by lot of open green space. The streets in BPTP Amstoria are well planed and wide, and will be lined up with canopied trees. BPTP Amstoria is located in Sec 102 Gurgaon, which is situated on the proposed 150m wide Dwarka Gurgaon expressway. Once the expressway is constructed then IG airport will be just 10 minutes drive. The upcoming Diplomatic enclave and a golf course will also be in the close proximity of the residential complex. We believe that after the completion of the proposed expressway, it will become one of the premium properties along the expressway and will command significant premium. BPTP Amstoria is enriched with world class facilities, including 24 hrs power back up, Secured gated community, Life style living, Farm Villas and Country Floors, Design Marvel with greenery, abundance of natural light, Cluster living, 2 Acre Recreational Club with indoor Heated Pool, Out door Pool and Kids Pool, and Jogging Tracks. We believe that BPTP Amstoria would help in offering dream homes to its residents. The apartments would set an example for a first-class, upgraded and modern living. The basic selling price depends upon the area and type of accomodation. For country floors, the built up area ranges from 1,700 sq.ft. to 3,712 sq.ft., and the prices start from Rs. 64 lacs. The villas are built in areas starting from 250 sq yard and the prices start from Rs. 2.1 crores. Other charges such as EDC, IDC, IBMS, Parking, Maintenance and PLC etc are applicable. We feel that currently the prices may appear to be on the higher side considering the fact that this side of the town is yet to be developed, but there is a lot of future potential in this project as it will be one of the biggest luxury projects in Gurgaon. Moreover, once expressway is completed, the prices may also rise substantially as this project will be right on the expressway. 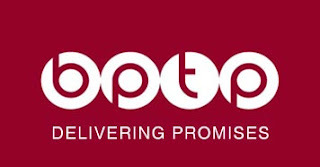 BPTP was established in 2005 with its promoters engaged in real estate development since 1995. BPTP has recently developed an integrated township in the NCR –Parklands, Faridabad, which is now almost ready to be delivered. In a time span of five years, the customer base of BPTP has increased to around 20,000. Many projects in the commercial and IT field have been delivered by BPTP in Delhi, Gurgaon & Noida. The company is gradually spreading its footprints and now has presence in Hyderabad where it will focus on a mixed use development. BPTP is a professionally managed and technology driven company, with innovative ideas and right intent, thus achieving desired growth. BPTP currently has multiple residential, commercial and IT Parks & IT/ITES SEZ projects. Some of the successful projects in the name of BPTP include Park Arena, Park 81, Princess Park and Park Floors in Faridabad, and Freedom Park Life, Park Serene and Park Prime in Gurgaon. We believe that due to high quality specifications and an integrated township which has been beautified with ornate water bodies, the residents would be able to live a modern and luxurious lifestyle in BPTP Amstoria. In our opinion, the area is expected to become one of the posh locations in Gurgaon after the development of proposed Dwarka expressway and the Diplomatic enclave. It will command premium because of its location i.e. right on the expressway.